Thank You for taking the time to visit us at our website, and Welcome. As a Permanent Display Manufacturer, We are very Proud of our Production Capabilities, of being Competitively Priced, and offering Quality in every Permanent Display We make. 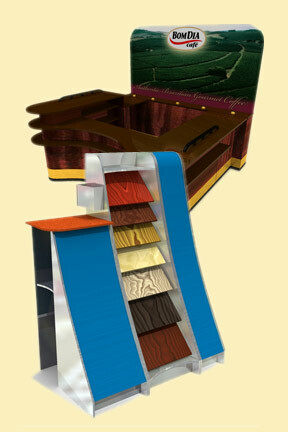 We are pleased to serve a Wide Variety of Company’s with many diverse Display requirements. Please click here for a list of Oliver, Ross & Associates Display capabilities. In-House Design Department or outside Agency to give you exactly the product you are looking for. We Stand Behind every Permanent Display we Manufacture and will Support your important Production and Delivery Requirements. Give us an Opportunity to Work With You and You will be Glad You did! From Our People on the Floor to Your Folks at the Store, we take Pride in all we do.